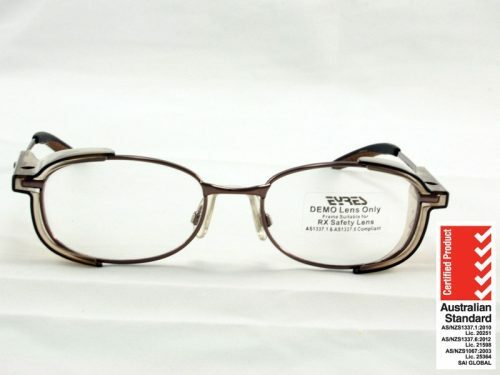 The Eyres Foreman 308 certified medium impact pair of prescription safety glasses. It has a wider fitting frame made of polycarbonate. 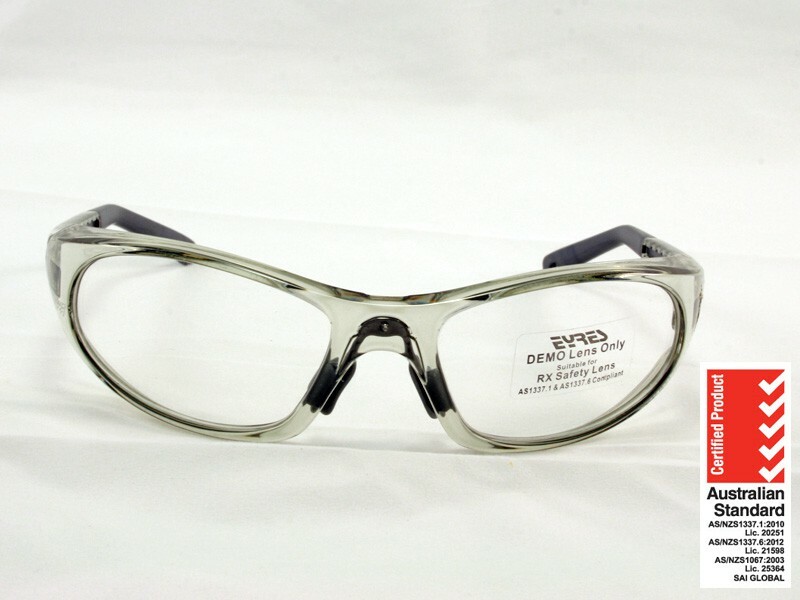 These Eyres safety glasses have a wrap around design making them very stylish prescription safety glasses – fitting much like sunglasses. They are comfortable to wear and cool to look at. Different coloured lens shields are available in accessories. 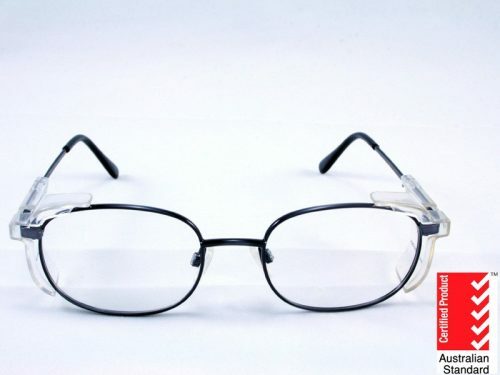 The Eyres Foreman 308 is a wider fitting pair of prescription safety glasses, made of polycarbonate. Just in case you don’t already know, polycarbonate is used for the majority of safety lenses. As it can be bullet proof, at the right thickness. These Eyres prescription safety glasses, have a wrap around design like your sunglasses and are as comfortable to wear. You could even choose to turn them into sunglasses, by choosing the polarised or tinted option. But if you are only after temporary sunglasses, then a clip on sunglasses shield (there are a few different options to choose from) might be just what you need. These shields are also useful for people who need to work inside and out, without the expense of 2 different pairs. The protective lens shields are available in accessories. 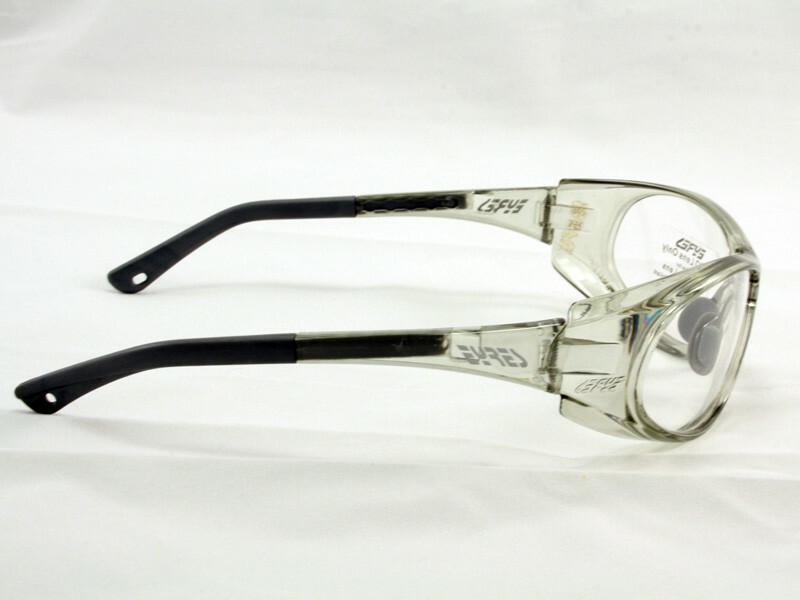 These shields are removable and can be interchanged with other shield options that have various tints or even clear to be protective of the important prescription lenses. 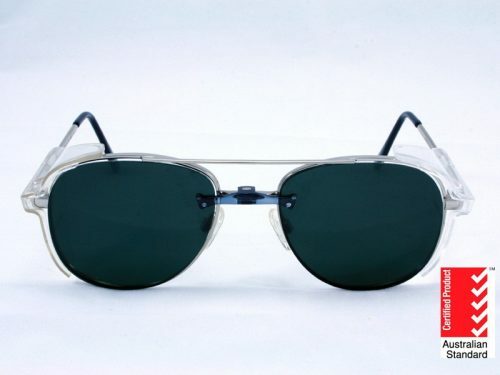 Some of the options include polarised sunglass lens tint and also welding shield. If you would like for example the welding shield clip on, it can be purchased at a small extra cost. Making these safety glasses extremely versatile and inexpensive. You might want to order extra clear shields so that, when the inexpensive shield gets scratched you can replace it, protecting your prescription lenses and improving the longevity of your safety glasses. The lens shields are available in clear, yellow, 50% brown (called the inside outside tint), grey non-polarised, grey polarized and for this model only a welding shield (IR5). The temple tips are also anti-slip to help keep them on and the nose pads are also replaceable. 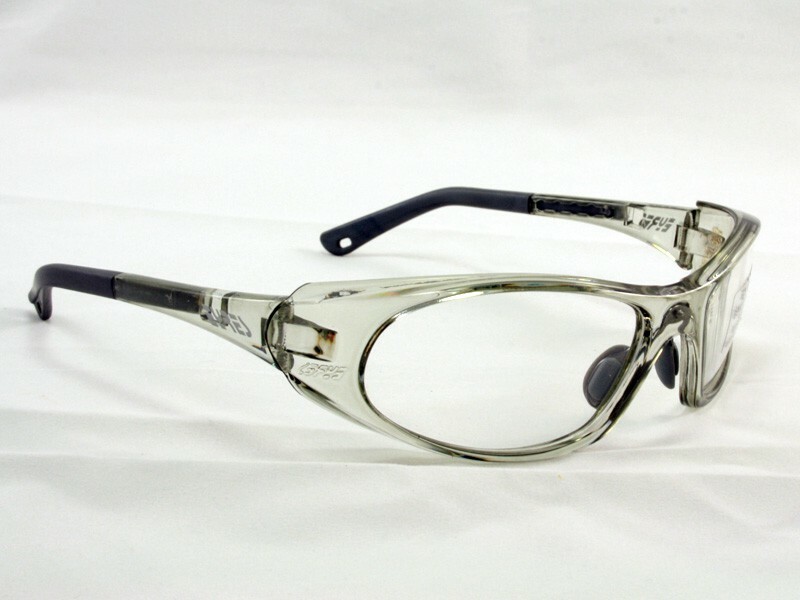 The Eyres Foreman frame has a curved front making it unsuitable for high prescriptions. 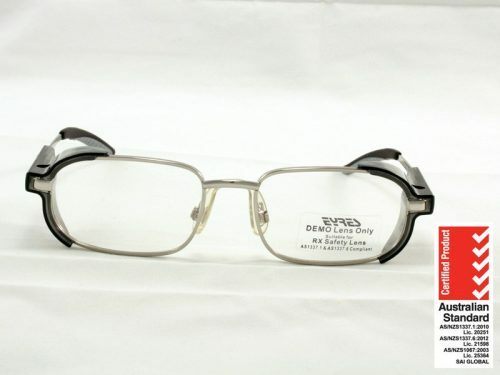 It is suitable for bifocal and progressive lenses in the lower prescriptions. If you have any queries about your prescriptions suitability for a frame that you have selected, contact us. The lenses are certified to AS/NZ 1337.6 medium impact. Anti-slip, adjustable temples and nose pads providing a safe and comfortable fit. Replacement nose pads are available. It also has a polycarbonate 8 base (wrapped-frame front) providing superior coverage and clear distortion free vision. Suitable for prescriptions 4/-4.00 sphere and -3.00 cylinder, in both the trivex and polycarbonate material. Applications for industrial/sport/manufacturing and leisure.